Lapp Engineering & Co. developed a new customized compound with excellent processability and superior properties: halogen free, crosslinkable and cost efficient. 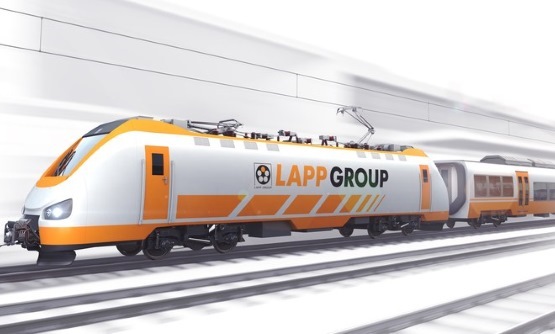 Thanks to this innovative new development our customer could strengthen its position in the railway business. Recycling: Feasibility Study for the Recycling of High End Scrap Material. Lapp Engineering & Co. helped a customer evaluate the possibility of re-using high end scrap material and how the scrap material could be re-integrated in the production process. This was done by compounding and testing. Realization of Thin Wall Insulations for Highly Flexible Cable Applications Using a New Continuous Process. Together with the project partners, Lapp Engineering & Co. developed for the first time a laboratory equipment for the continuous production of thin wall insulations for miniaturised cable applications. The goal was to reduce the cable cross section. The patent was successfully registered. 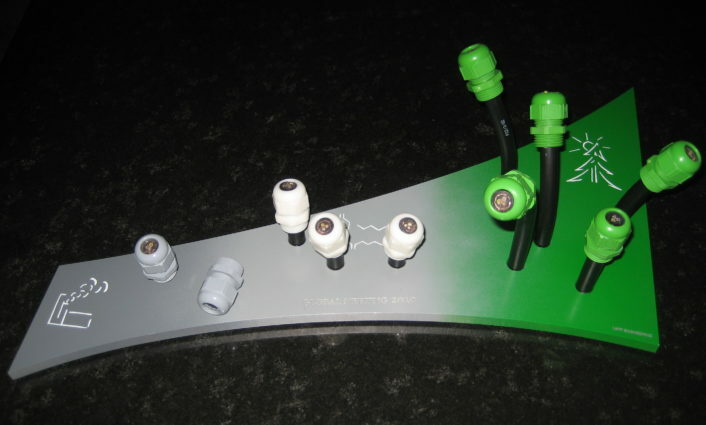 Until now, it was not possible to recycle crosslinked cable compounds. 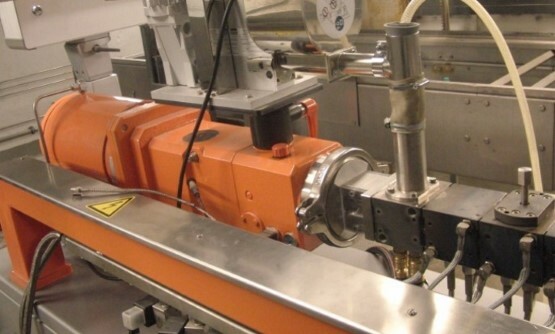 In cooperation with a partner university, Lapp Engineering & Co. succeeded in developing a process for in-line e-beam crosslinking of the polymer melt during compounding – before the extrusion of the cable. In this way, a physical network is created which can be remolten and thus recycled. The ground-breaking innovation has been patented. 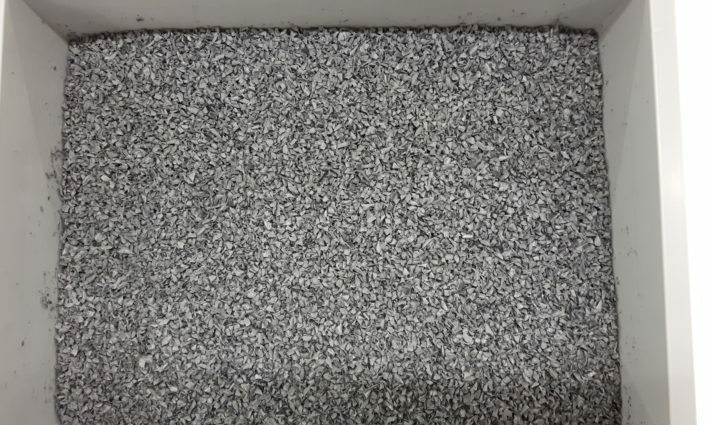 Biopolymers: Process Optimisation of Technically Demanding Plastic Components through Injection Moulding. Due to their sustainability, biopolymers are getting increasingly popular. The usage for injection moulding for technically demanding components must however be evaluated thoroughly. 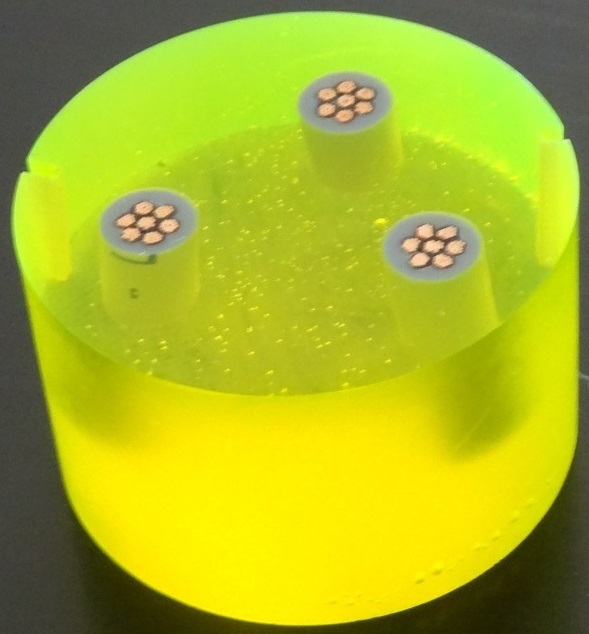 Lapp Engineering & Co. works closely with the customer and with the support of a partner Institute in investigating the suitability of biopolymers in the production of cable glands.